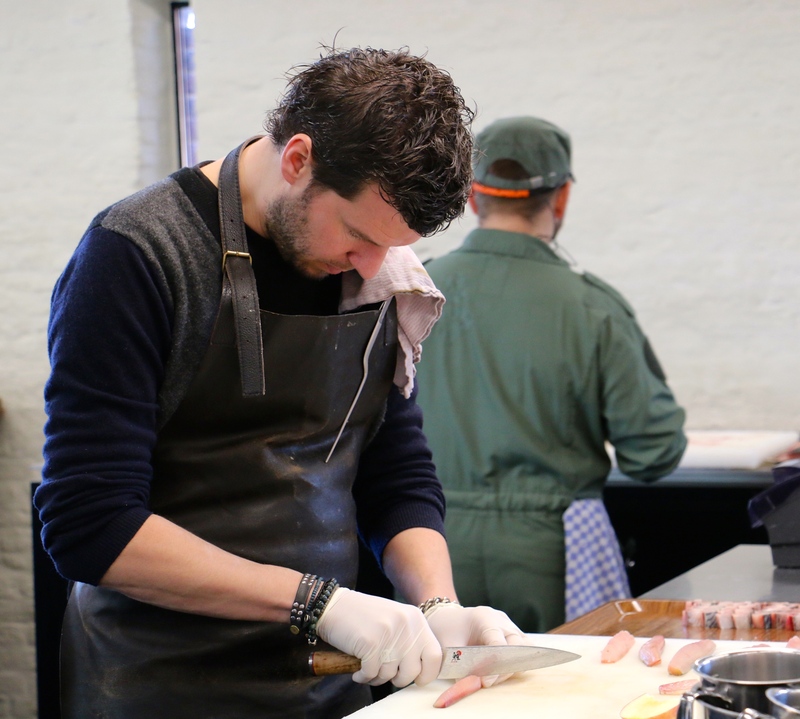 In the outskirts of the idyllic Belgian city of Bruges in Zedelgem is a culinary genius who became the youngest ever 3 Michelin star chef in Belgium and one of the youngest in history at 34. What made the journey so incredible, however, was not the age at which he reached the top, but rather the speed with which the team at Hertog Jan turned a brasserie first into a Michelin starred restaurant (2006) and then one of only three, 3 Michelin starred restaurants in Belgium (2011). Gert De Mangeleer is now 37. Last week I visited Hertog Jan to meet Gert, to learn the story behind one of Belgium’s most successful chefs and a rising star in the culinary world. Hertog Jan only moved to Zedelgem from its old location in July. It was the next step in their philosophy since the farm has been supplying their own restaurant since they bought it in 2010. The 180 year-old barn has been completely renovated and refurbished, now hosting a stunning kitchen which is the beating heart of the new Hertog Jan. The restaurant has a motto which is ‘driven by simplicity’ and Gert tells me that simplicity is not always simple. When I ask him about the creative process, he tells me some dishes can be created quite fast while others may take more than a year. “By fast, I mean two months,” he tells me with a smile. The attention to detail is incredible and his work ethic is beyond question. Reaching such levels does not come by chance. “We always say to our staff members that when everybody stops we have to go further. You have to believe in yourself, you have to find a challenge and believe in your goals. Many times, there is a lot of huffing and puffing because of little jobs but it is the small things that make the difference in your kitchen or your company,” he said. I ask him what was most important for him, winning the first or the third Michelin star. “The most beautiful moment of my career was getting the third star. I cried like a baby. You cannot imagine the felling of getting a third star. It is unbelievable,” he said. I ask him how much importance does he give to stars now that he has reached the top. He tells me that they have not yet reached the top. “There is still a lot of progress possible. In Belgium we may have reached the top and in Europe we are quite famous and known but we now have to conquer the world. We do not need to be the number one of the world, that is almost impossible. But I want to join the big boys of the world, that’s my goal,” he said. 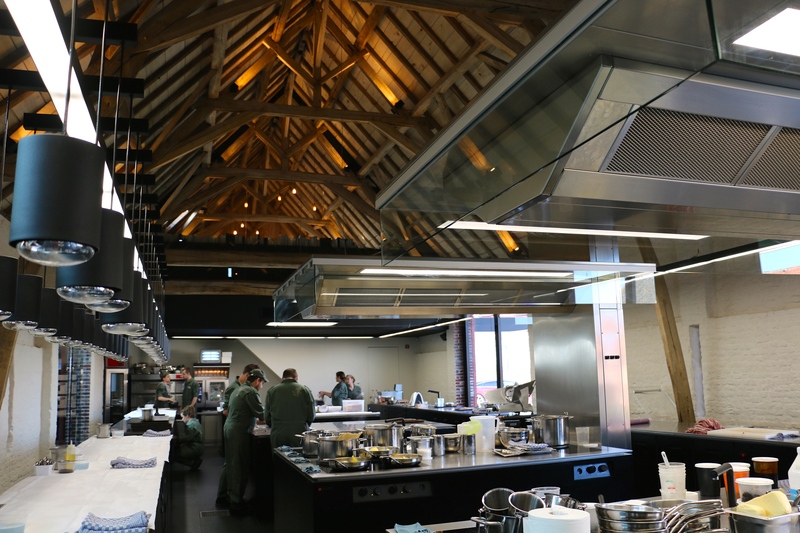 The stunning kitchen of Hertog Jan in the converted 180-year-old barn. The chefs are dressed in green just like farmers in the old days. 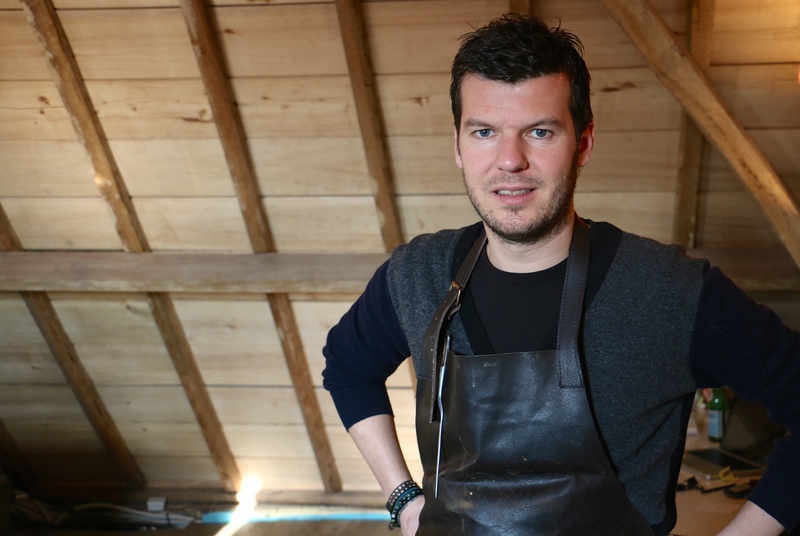 Look out soon for our interview with the co-owner and host of Hertog Jan, Joachim Boudens as well as the story behind their second restaurant L.E.S.S.